Hi! I’m Odin! 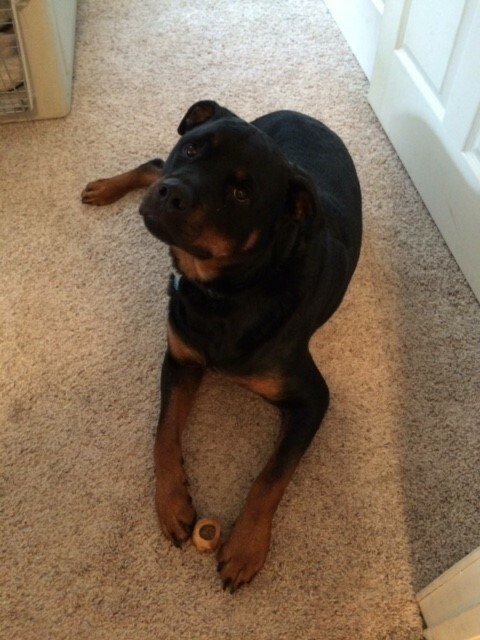 I’m a handsome Rottweiler, and up until a month ago I was totally healthy — but then I had a couple of seizures. My Mom is working hand-in-hand with a neurologist to find out what’s going on and get the right meds for me. This has been an emotional and financial strain on her, and she’s being forced to find me a new home where my new peeps can give me really great care.